Fill out our contact form and we'll reply within one business day! 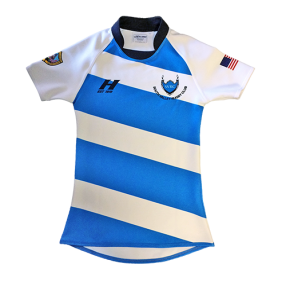 RI has access to thousands of special order rugby products ready to be customized with your teams logos and numbers. 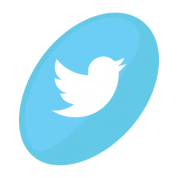 Let us know what you're looking for all we'll find the best product and customization options to suit your needs. 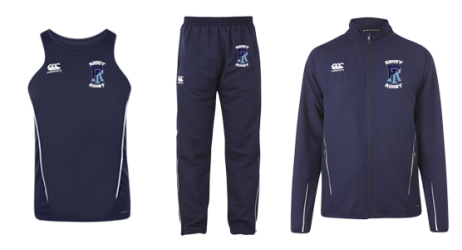 Consider an online team store to make your club's ordering process easier! 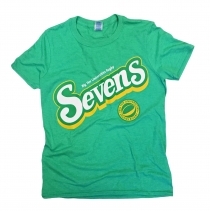 Our Rhode Island location houses everything from blank rugby jerseys to scrum sleds. Browse our website or talk to your team rep to learn more about our ready-to-ship products and any discounts that may be available to team customers. Click here to shop some of our most popular stocked products. Every stitch and every logo has been designed from the ground up for your team or organization. At RI, we offer a full line of bespoke rugby kits including rugby jerseys, shorts, training apparel, track suits, jackets, base layers, kit bags, and more. 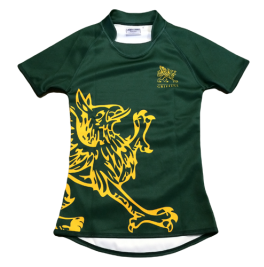 Visit our Rugby Kit Designer or Contact a Rep to get started. Poly-elastane moisture management fabric features a 4-way stretch for maximum mobility. Our signature Performance Fit offers the second-skin feel synonymous with elite play. The Pro Cool fabric is made to move freely while remaining close to the body to prevent jersey tackles. For those interested in a looser fitting rugby jersey, we also offer a Sport and Traditional Fit. 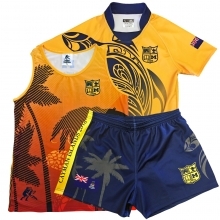 Add matching sublimated or cut & sew rugby shorts, warm up shirts, tracksuits, sweats and more, all custom designed from head to toe. 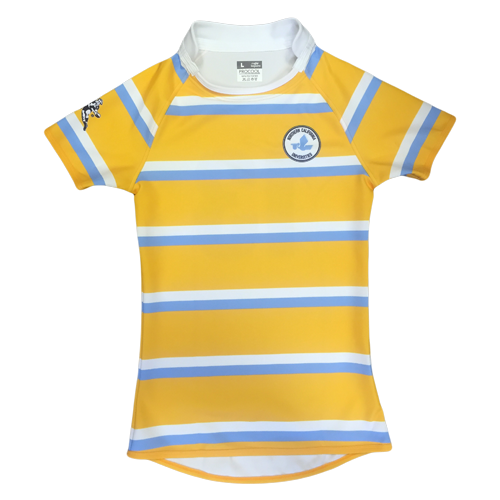 Rugby Imports' signature line of match apparel features our Pro Cool Performance Jersey, an elite-quality match rugby shirt suitable for all levels of play. 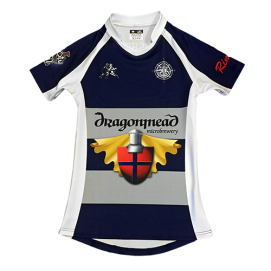 Design bespoke custom rugby kits using our Rugby Designer program. Customize any of our standard patterns, or contact us to create something completely your own. Work with one of our team representatives to pick out items to feature in an Online Team Store. 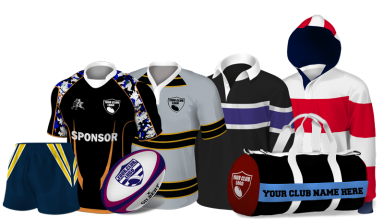 We can help you select rugby uniforms, apparel, and accessories tailored to the needs of your organization and customized with your logo. 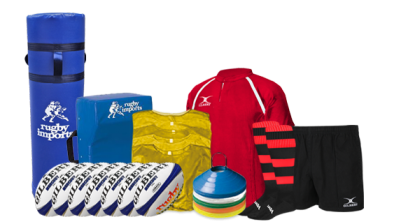 Rugby uniform bundles and equipment packs offer budget-friendly options to get your club on the pitch as fast as possible. These options feature built-in savings while still offering a variety of product options. With plenty of options from basic sleds to high-performance Predator Scrum Machines, we have the equipment available to take your team's set piece training to the next level. 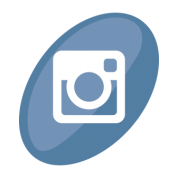 Greg Antonelli and Allie Springer personally handle all team accounts from our base in East Providence, Rhode Island. Allie handles accounts on the east coast, while Greg handles all of our west of the Mississippi and international customers. 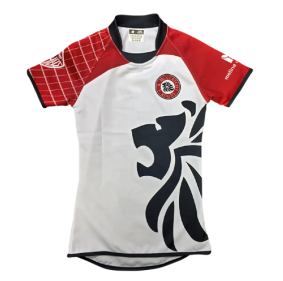 Both reps have extensive experience guiding teams in their selection of team apparel and equipment, as well as assisting in the design of fully custom kit. Fill out our contact form and we'll get back to you within one business day with a reply! "Greg was recommended to me by a local team who was VERY SATISFIED with the quality of Rugby Imports Jerseys. They have helped me create and design 3 sets of jerseys for my HS boys and girls teams. Greg is thorough on all the details, and I was very pleased with the final product. He is currently helping us with our travel teams jerseys! " "I had been working with Rugby Imports for about a year before purchasing jerseys for my new club. Our Team Rep, Allie, was patient with my constant changes to the designs as well as with our rather extended fundraising timeline which would allow us to make the kit purchase. I received countless calls and check-ins throughout the year. Once we had fundraised enough, our kit was processed and shipped quickly. The jerseys look better than we imagined and we receive countless compliments at every tournament because they are so unique. The players commend the pro-fit jerseys for being lighter and better cut than other jerseys they have worn. I look forward to ordering another set!" “We have found Rugby Imports pricing to be the most competitive in the industry. The quality of product that they sell is exactly what we look for and the service that Greg Antonelli provides us is first rate. Greg is always accessible to us; he has great follow through and goes out of his way to make sure that we are pleased with the product. 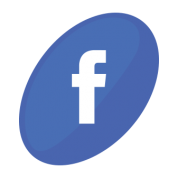 Contact us to get started today - we're waiting to hear from you!